1. Burberry Complete Eye Palette in No. 02 Mocha White - Two words: like butta. That is how these shadows feel and how they blend. And duh - they are four different shades of brown so of course I love them. 2. 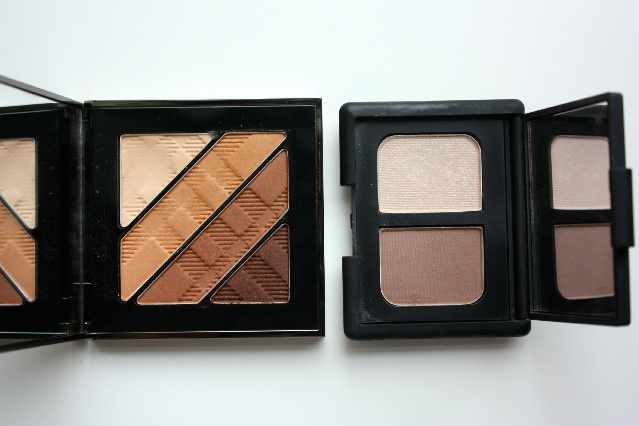 NARS duo in Bellissima - Yes it is still a brown/beige eye shadow but this duo has cool undertones and is simply one of THE best everyday eye looks that I wear. It is the epitome of understated makeup, as the beige color gives a great wash of color to the lid evening out any discoloration and the grey-brown when used in the crease gives a subtle contour. Instead of seeing the makeup with this duo, you see my eyes enhanced. It's my makeup jedi mind trick I play on everyone to make them think my features always look so perfect. Suckers. 3. Le Metier de Beaute Classic Flawless Finish Liquid Foundation (c/o) -Frankly, the name of this product could not be more fitting, well....it actually may be an understatement. I have proposed a few new names for this foundation - "Perfect Face Foundation" or " Supermodel skin Foundation" or my favorite "My Skin is Better Than Yours Foundation". 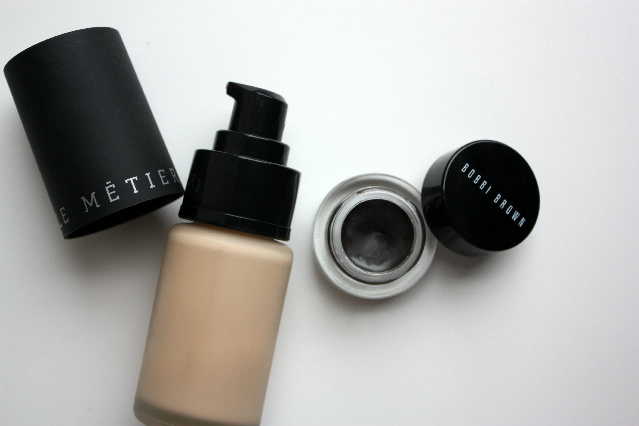 Buildable coverage, a natural matte finish, oil free AND it lasts all day - it's like I won the makeup lottery with this product. 4. Bobbi Brown Gel Liner in Caviar Ink - Yes I fell victim to the hype of this product, buying simply because everyone said it's great. Well ya know what? It is, so there. But basic black seemed to harsh for every day so this more subtle indigo-hued version is simply perfect. 5. 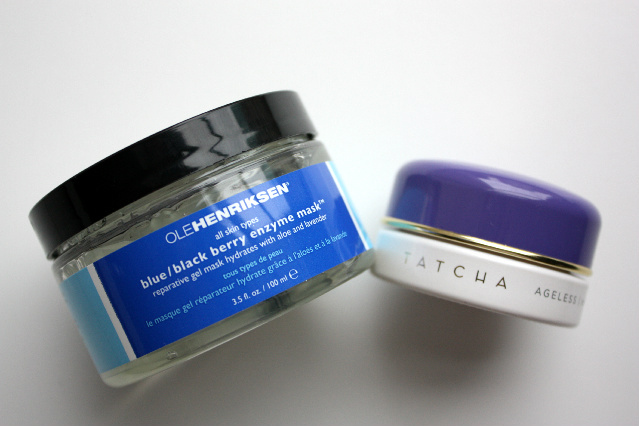 Ole Henriksen Blue/ Black Berry Enzyme Mask - Gosh, I love a good skincare mask. And what drew me in was the fact that I love the line (his Truth Serum is the truth! ), and I needed a mask to help revitalize my skin after the 3,492 masks I have for handling my stubborn breakouts. It does tingle when applied due to the enzymes, but what is left after 10 minutes is refreshed, renewed and super soft skin. 6. Tatcha Ageless Revitalizing Eye Cream (c/o) - Did you actually think you would never see another Tatcha product in my monthly favorites?? PUH-LEEZ. To say this line has rocked my world is an understatement, and obviously the eye cream is no different. It's extremely luxurious and hydrating, and since it absorbs instantly into the skin, has become a staple before applying makeup. 7. 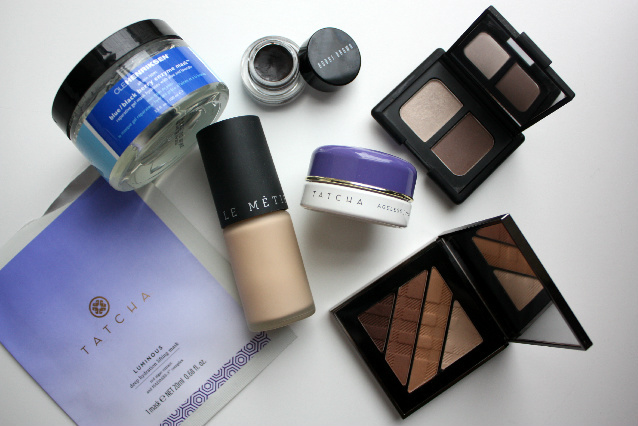 Tatcha Luminous Deep Hydration Lifting Mask - The only thing better than one Tatcha product in monthly favorites, is TWO Tatcha products in monthly favorites. This is the mask that every woman should have in her arsenal for when she is in need of an immediate skin miracle. The phone rings and you have a major hot date in less than an hour - what do you do??? Well first, you pretend like its no big deal on the phone and that he is lucky a last minute cancellation (rerun of Grey's Anatomy) opened up a spot on your busy social calendar. 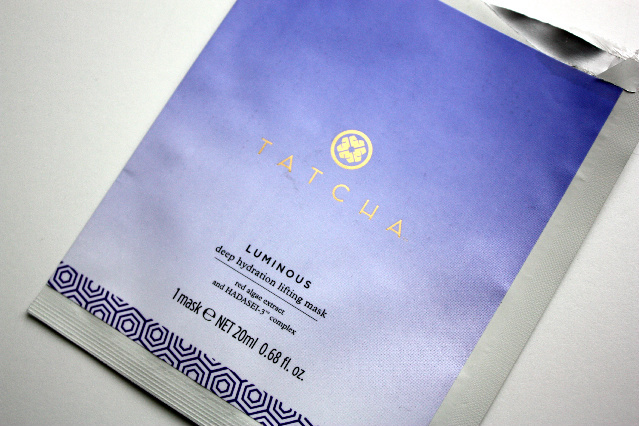 Then, you open up a Tatcha Luminous Mask and let it do it's magic. In 10 short minutes, you remove the mask and you have instant post facial glow. Makeup glides on, dryness disappears and any hint of a fine line has high tailed it off your face. If only there was a magic Tatcha mask for the actual date, ya know??? If you are following me on Instagram, you have seen that I actually finished three of my favorite skincare products this past week. I know, I'm panicking too. Leave me a comment below or tweet me @alittlebitetc and let me know what have been some of your favorites recently so I can quickly fill the void that is now in my beauty cabinet. HALP!